Gundam was truly a well written, iconic anime and there’s no doubt that the hordes of weapons that Gundam carried around were one of its highlights. 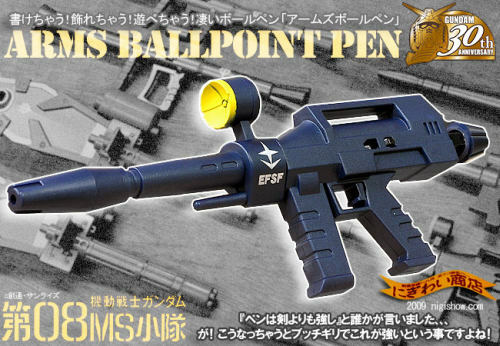 These pens shaped like those very same firearms could be the source of inspiration to a whole new generation of anime writers. These pens do look really cool and are fully functional as well, however one has to ask if they are going to be easy to write with because of this different body design. 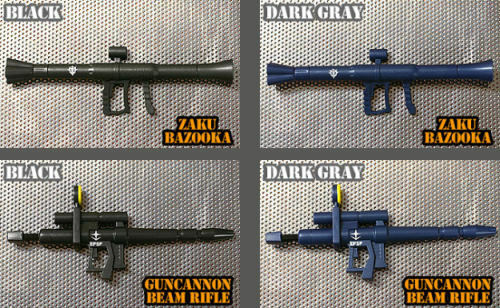 And as far as variety goes there’s no shortage here for almost all of Gundam’s weapons have transformed into a cool ball point pen. 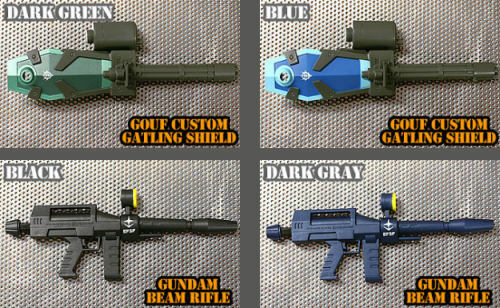 The designs incorporate everything from his rifle’s to a bazooka, thus ensuring that if you are a collector of Gundam collectibles, then you may reserve an entire shelf in advance. But do be warned, state of the art Gundam equipment is not cheap and these ballistic pens sell for right under $11 each. All in all these pens would make a great gift for kids or that die hard Gundam fan, and while the topic of gadgets that don’t do what they were meant for is open check out this Fire Alarm turned Ashtray and the Bank Job pen.